One of my goals I'm setting for 2015 is to reduce my credit card debt by $3,000. Reducing by that much money is going to take hard work and discipline, and will also help me improve my score. Here are 4 methods I'm currently using to rebuild my credit. For some reason, credit card companies like Discover and American Express and Capital One still send me offers in the mail. I can't lie; while most of the time I just trash them without opening it, sometimes it's too tempting, and I really consider applying. This past weekend, I decided to see how I could remove myself from these mailing lists so companies can stop taunting me with their credit card offers. I found that it is possible to opt out of receiving these offers in the mail. If you visit optoutprescreen.com (yes, it's a real site), enter your information and you can decide to either opt out for the next 5 years (which I chose), or permanently opt out of mail offers. It will take a while before you stop getting them, but your name and information will be removed from those lists, and keep temptation at bay. For my most recent card with only a $300 credit limit, I decided to utilize no more than 30% of the limit (which isn't hard if I'm just using it to get gas), and paying off the balance in full. I was so used to just paying the minimum amount due, mostly because it was all I could afford. Using this strategy for this card shows that I'm responsible with my money. For the cards where my balances are much higher, I am working on paying more than the minimum, even if it's only $10 more. This gesture shows good faith to the credit card companies, and reduces the amount you pay in interest overtime. This sounds like an obvious one, but if I had made this decision before, I wouldn't be in this situation today. I decided that I would not go further into consumer debt. While my student loans will continue to go up since I have one more year of school left, I will not increase my balances anymore. If I'm buying something, I will only be buying it with cash or my debit card. This keeps me grounded, especially in the budgeting department, and decreases my debt to income ratio every month. I did quite a few things this year that will help me with paying off debt, and one of those was the decision to do some side hustling. I'm a freelance writer, and write content for others' websites. It's something I can do fairly easily, and I can name my price and accept or reject different topics. This money on the side goes toward my debt, on top of my regular payments. Again, the more money you pay when your bill is due, the less you pay in interest. My credit didn't take a hit overnight, and it won't be rebuilt overnight either. I have to be patient and continue to show my credit-worthiness to my creditors. However, using these methods, I will continue to improve my credit score along the way. The first time I saw my credit score, it was a pretty good number. I was about to turn 20, and the score was in the mid 700s. My parents had preached the importance of good credit to me, but didn't really elaborate past "pay your bills on time", which I had done at that point. I had a couple of credit cards, paid the minimum or a little bit more, and didn't have any bad marks. Fast forward 4 years, and that's a completely different story now. My credit score today is considered "poor" on numerous scales. I have more than one negative remark due to, simply, my poor decision making. Maxed out credit cards, late payments, and collections have sent my credit down the toilet. And it doesn't make me feel good. I can blame my credit problems on my long term job loss. I can blame it on my lack of preparation for real world personal finance. But I really can't. I was a freelance writer for multiple personal finance blogs. I knew what all went into calculating your credit score. I knew how to live within my means and how to set up payments. I just didn't take heed. And now I'm suffering the consequences. 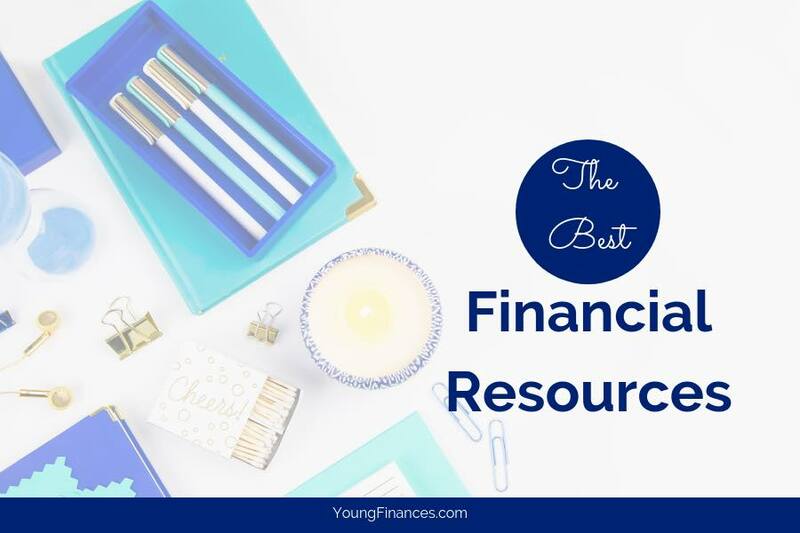 Because I've been in the personal finance world for a few years, I have seen stories of the heavy hitters. The big names in our field have had debt four times bigger than mine, but I don't know what their credit score looked like. They were able to get out of debt, and live life freely. I yearn for that. I also know it comes with sacrifices and changes. Lifestyle change is the biggest one. Declaring to not take on any more debt while I'm trying to get out of it. Committing to paying more than the minimum on my bills. Try my best to work with creditors to see if there's a mutual agreement we can come to (hey, a closed mouth won't get fed). And the biggest change of all: I'm moving back home. I'm moving back in with my family for a couple reasons, but a big one is to get back on my feet financially. I've been living on my own and paying rent for over a year, and it's been hard honestly. That's money I can not only be saving, but applying toward my debt. While it won't eliminate the negative remarks on my credit report, it will help me reach financial freedom a lot sooner. Looking at my credit score actually depresses me. Seeing how I rank on a scale of "credit worthiness" stings a bit. Getting rejected by creditors or not being able to rent from a property management company is a blow to the ego. But even with these consequences of not taking care of my credit, I confess that I am not my credit score. Your credit score is used for a lot of different things, including renting or buying a home, purchasing a car, sometimes even getting a job. It's crazy that a younger me who was less educated about credit in general would be considered more "credit worthy" than a older me who understands how a credit score is calculated. But it's a learning experience. Curious to know what you credit score is? Get it for free here. Originally, I was going to be able to get out of my consumer debt (not counting my student loan debt) in 3 years. My goal now, since I'm moving back home, is less than 2. There's no way to tell how much more score will improve in that time, but if I show a good track record by paying off my credit cards and loans, I can see it going back to where it was when I checked it for the first time. But even when it improves, I still will not let that number define me. Many young adults find themselves in debt for one reason or another. They receive credit card offers in the mail, they sign up for store cards, they get personal loans, etc. Whatever the case may be, you have to pay this money back, because you’re borrowing the money. Temptation of buying something now and paying for it later can be hard to resist. The next thing you know, you find yourself in debt. But there’s a few things you should know about paying off debt. Let’s say you took yourself on a bit of a shopping spree, and spent $500 on your credit card that has a limit of $750. You receive your bill with a minimum of $25. It’s easy to pay $25/month, but you’re forgetting something: interest rates. In the long run, paying your $25/month would have you paying more in the long run because your credit card has interest rates. It’s better to pay the full balance, which in this case, could save you hundreds of dollars overall. Also, paying the full balance rather than the minimum has a better impact on your score. When you got your credit card, you probably had a deal where you paid no interest for the first 6 months to a year. But, after that term is up, you often have to pay the interest that accumulated over that time. Don’t fall for that trick; pay your balances off as soon as possible to avoid this. Also, know your interest rates for purchases. That $100 charge can actually end up costing you $115 if you have a 15% interest rate, and that’s just if you pay it off immediately. Revolving accounts such as credit cards will stay on your credit report while the account is still open and paid as agreed. If you close the account and it’s still in good standing, the information will stay on your report for 10 years. However, negative accounts, if you missed a payment or it was sent to collections, it will remain for 7 years and 180 days from the first date of delinquency. Remember, negative accounts greatly influence your credit score. Debt is never fun, but it doesn’t have to be difficult to get out of if you have a plan. Pay your bills on time, pay more than the minimum, and be mindful of your interest rates. When possible, pay off your balance. A good rule of thumb when you’re tempted to buy something on credit: don’t buy something with your credit card that you don’t have the cash to pay for. How did you make a plan to pay off debt? Previous Post: « Which Resume Format is Right for You?